The Merkur 34C Heavy Duty is ideal for beginners. Great for a zero waste shave and reducing plastic consumption. The handle is length 75mm and the handle diameter is 11mm. The knurled handle offers a firm grip. All standard double edge replacement blades can be used with this razor. Made in Germany by quality assured Merkur of Solingen. Made of recyclable chrome-plated steel. 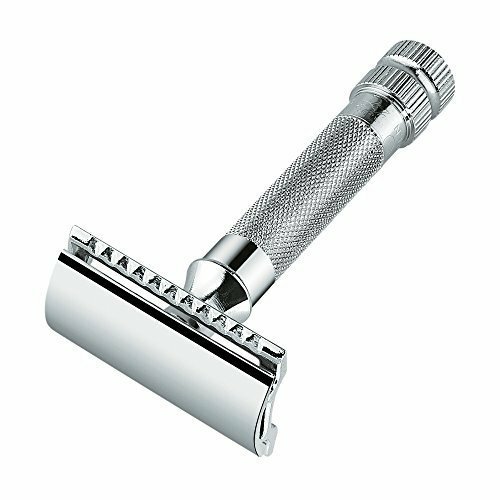 Merkur 34C double edge safety razor.